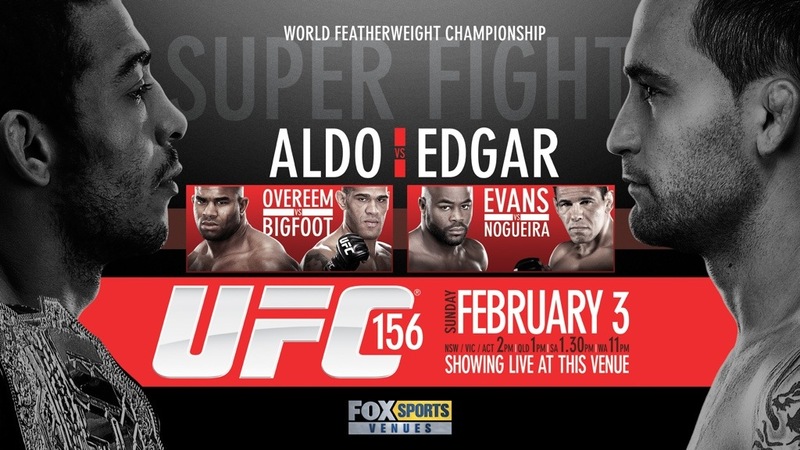 The UFC rankings were updated today after UFC 157 at the weekend and you can find them below. It is worth noting that even though the first Women’s Bantamweight division fight took place on Saturday, with Ronday Rousey defeating Liz Carmouche via 1st round armbar, there is still no ranking of that division. The UFC have now announced a number of female signings so hopefully we will see it added in soon. What to you make of the latest ranking? Anyone out of place? What changes would you make? Be sure yo let us know. I’m insanely excited for tonight’s UFC 156 card from top to bottom, as aside from the main event we have top level matches, between massive names with potential title implications in four divisions. However, the main event Featherweight title match between Jose Aldo and Frankie Edgar is standing out as something special. Ill admit to being one of those who poked fun at the marketing of it as a superfight, on account of Frankie Edgar coming off two losses, but the more I think about it, the more I think that Frankie really could be the man to take the 145lb belt from Jose Aldo. First, lets address those losses that Frankie had to Benson Henderson. Coming off a 3-0-1 streak in title matches against the markedly larger BJ Penn and Gray Maynard in which he took a pile of damage, Frankie again stepped into the Octagon opposite a man who walks around a good 20 or more pounds heavier than him. The difference in height and reach was tangible. In the first fight, it was a sudden upkick and the effect that it had on Frankie that made the difference and in the end, it was a wafer thin decision that gave the belt to Benson. So close was the decision, that the UFC awarded a rematch for the Lightweight belt for the THIRD TIME IN SUCCESSION. In that rematch at UFC 150 in August, Frankie avoided an upkick, avoided any semi-concussions that resulted in half a round of scrambling, as he had in his previous three fights and as a result, the eventual decision was split. Benson got the nod from two judges, much to Frankie’s evident frustration and the great wailing and gnashing of teeth from many folks who thought he’d won. Indeed, there’s compelling evidence to say that the judges got it wrong, as the FightMetric stats for the bout show that it should have been a draw or a win for Edgar as he landed more significant strikes and had more grappling success as well. The moral of the story is that over six fights and three years, Frankie Edgar assembled a 3-2-1 record that could easily have been 5-0-1 (even I’m not gonna claim that the comeback to a draw in the first Maynard fight was anything but a miracle) against the very best that Lightweight has to offer. He achieved this against men who were significantly larger than him, and in the end it took a truly exceptional competitor in the shale of Benson Henderson to take him to the edge of two razor thin, microscopically fine decisions. It must be remembered that Henderson combines the body mass of a welterweight with the quickness and flexibility of the taekwondo, wrestling and jiujitsu disciplines which shaped his skill-set, giving him the size advantage over Edgar, but also parity in terms of mobility. Second, lets look at what makes Jose Aldo so unbeatable, so special. In a word, Aldo is explosive. He’s a fighter that can finish with his fists, his knees, his legs or with his considerable jiujitsu skills. His rise to prominence, started by his still highlight-reel staple jumping knee knockout of Cub Swanson has shown that unlike so many knockout artists who have come into the UFC with big names only to be ground out by the resident cadre of wrestlers, Jose Aldo, like Anderson Silva has a solution. Aldo’s leg kicks are a thing of legend and a nightmare for the classic American mixed martial artist who combines a wrestling base with striking skills. The tendency of wrestlers such as Mike Brown, Urijah Faber, Mark Hominick and Chad Mendes to have a prominent lead leg, the better to propel them into deep double leg takedowns has left them seeing that leg chopped down by inside leg kicks and Aldo stepping inside to punish his unbalanced opponent with knees and punches. That’s not to say Aldo is a one trick pony as his submission game is top notch, (he’s a BJJ black belt who rolls with the likes of Marlon Sandro, Anderson Silva and Big Nog) and his killer instinct striking is immense. This was best shown against Mendes last year where he escaped a grapple against the cage, and knowing Mendes would attempt to resecure the grappling advantage, Aldo spun and aimed a knee where he expected Chad’s head to be. Lights out, cue celebration. On the surface, Frankie Edgar is just such a wrestler-boxer and should present no new or significant threat to Aldo’s already established dominance of this division. It’s also worth noting that Frankie is STILL smaller than his opponent, as Aldo walks around heavier than Frankie’s normal weight and still has a noticeable height advantage. Except… here’s why I think Frankie is different. For a start, Frankie is used to fighter much bigger guys and having secured regular takedowns against Penn, Maynard and Henderson, all of whom were between 165-180lbs on fight night and survived their hardest shots, the 160lb (ish) Aldo shouldn’t seem all that threatening. Of course, Aldo presents an entirely different kickboxing assault from anything Frankie faced at Lightweight, but by the same token Frankie’s boxing is a far more evolved beast than what Aldo has faced at Featherweight. Even more than that, Frankie combines his boxing and wrestling into a seamless whole that merges clever angles and effective combinations to close distance, cause damage and either move away before a counter strike, OR to suddenly change level and secure a takedown. Frankie doesn’t stand still, he doesn’t plant his lead leg and his takedowns are fast, explosive and rarely telegraphed. Suddenly, Aldo’s leg kicks may not be the deciding factor in this match. Of course, taking Aldo down isn’t necessarily the best idea, but Frankie is a Brown Belt in BJJ under Renzo Gracie, so he’s no slouch on the mat. There’s also the question of cardio and experience. Frankie has gone into the championship rounds of his last six fights, while Aldo has hit the time limit in only three of his six previous bouts. Sure, that’s a testament to his finishing ability but it does give Frankie a considerable experience advantage in the fourth and fifth rounds, as well as the fact that he’s fought twice since Aldo last competed. Look at their fighting time in 2012 – Aldo 4:59 compared to Edgar’s 50:00. For all that the betting odds put Frankie at an almost 2/1 outsider, I can’t help but think that his particular blend of wrestling and boxing, so much smoother and more refined than most of his compatriots, combined with his speed, heart and the fact that Aldo hasn’t fought in a year thanks to a foot injury (which may further compromise his mobility) means that Frankie could really do something special tonight. Of course, Aldo is the favourite to end that match by KO especially in the early rounds, but the longer it goes on the better Frankie’s chances of a late TKO or decision victory become. If you’re not fired up already, check out the UFC’s short and to the point preview video, making excellent use of one of my favourite 90s alternative tunes here. It may be their third event in as many weeks, but this is the first proper UFC pay per view of the year and as much as last week’s FOX card was stacked, this event beats it hands down. The main event is billed as a superfight, and a year ago it would truly have been just that. Twelve months ago, Jose Aldo (20-1) had just retained his Featherweight title with a knockout of the year contender against Chad Mendes and Frankie Edgar was looking ahead to his fourth defence of the Lightweight title having disposed of BJ Penn and Gray Maynard against all the odds. Now, however the picture is a little different. Injury has kept Aldo inactive since his memorable victory and crowd dive in Brazil and Edgar has suffered back to back decision defeats, no longer owns the Lightweight belt and boasts a record of (15-3-1). However, that doesn’t mean this isn’t still a compelling fight. Despite labouring to overcome Mark Hominick and Kenny Florian in his first UFC matches, Aldo showed against Mendes exactly why he’s rated as a top 3 pound for pound talent. Incredible speed, precise, powerful and varied kicks, great takedown defence and a formidable jiujitsu game should the bout go to the floor make Aldo a scary proposition for anyone. Aldo’s only career defeat came by a second round submission back in 2005 and since then he’s been wrecking the careers of wrestlers, kickboxers, submission specialists a d everyone in between. 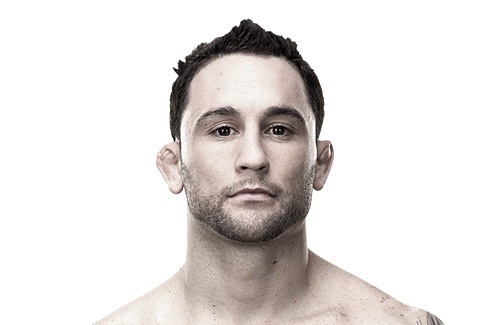 I’ve complained a lot recently about guys coming off defeats getting a title shot, but I don’t really mind in the case of Frankie Edgar. You see, Edgar literally punched well above his weight in the 155lb division, as a fighter who is of a size more usually associated with the 145lb class and could probably make 135lb without too much difficulty he was competing against guys who naturally weighed between ten and thirty pounds more than him. In that light, his wins over BJ Penn and Gray Maynard are all the more remarkable and his wafer thin decision losses to Benson Henderson almost carry a feeling that Henderson should have been handicapped somehow. Relieved of the Lightweight title, Edgar drops to Featherweight and immediately skips to the front of the queue as the most marketable and credible threat to Aldo’s belt. While Aldo has made a habit of beating up wrestler-boxers, he’s never yet faced one with Edgar’s sheer level of excellence. Edgar’s movement, hand speed and ability to switch levels and land sudden, inescapable takedowns befuddled most at 155lbs and for once, he’ll be fighting a guy who only weighs a wee bit more than him. I find myself genuinely unable to predict this fight. If Aldo can land his trademark leg kicks early and dictate distance, Edgar could be in for a long (or brief) night, but if Edgar boxes on the outside, evades the leg kicks and finds the timing for his takedowns he could easily decision or knock the champion out. In the co-main event slot, we have the return of two of the Light Heavyweight division’s old horses looking for a big win to return them to title contention as Rashad Evans (17-2-1) faces Antonio Rogerio Nogueira (20-5). Evans is the consensus #2 light heavyweight in the world, but having been unable to do much in his title challenge against former teammate Jon Jones last April his chances of a speedy rematch don’t look great. The option of cutting to middleweight seems to be one Rashad isn’t too happy to contemplate so he’d rather earn himself another shot. Nogueira was billed as the top free agent at 205lbs when he signed for the UFC back in 2009 but a run of stogy performances against wrestlers mean that it’s only his debut against Luis Cane and his most recent win over Tito Ortiz which have really been memorable. Here we have two well rounded and experienced fighters, with a jiujitsu specialist and Olympic calibre boxer facing off with a wrestler who has some of the sharpest MMA boxing in the division. What can I say about Overeem, a K1 Grand Prix champion who fought in Pride as a light heavyweight before packing on about sixty pounds of muscle mass in a suspiciously short time frame and went on a twelve fight unbeaten streak to stand as arguably the biggest challenge to UFC champ Cain Velasquez. Silva on the other hand, you can either see as the dominant, heavy handed jiujitsu machine that the UFC are trying to portray him as, or you can see him as the somewhat overmatched fighter with a glass jaw who is still riding his one great moment, his 2011 TKO of Fedor Emelianenko. I’m not saying for one second that Silva isn’t legit and wouldn’t squash me like a bug, but at the elite level he’s been badly exposed by Daniel Cormier and Cain Velasquez in the past year and a half, and his TKO win over Travis Browne had more to do with Browne pulling a tendon in his leg than it did to Silva’s dominance. Put it this way, I see this as much as a gimme win for Overeem as he’s gonna get. Like Velasquez, the UFC brass are feeding Silva to him to give him a highlight reel win to carry into his near inevitable title match. Wait, the awesome fights aren’t over yet! Now we have the interesting-again Jon Fitch (24-4-1-1) fresh from his exciting (yes, I said exciting) win over Erick Silva facing off with arguably the only man at 170bs that Fitch might have second thoughts going to the ground with, Demian Maia (17-4). Fitch has made a career out of taking fighters down and rubbing his chest and shoulders into their face for fifteen minutes before being awarded a unanimous decision victory. However, following the shock of losing two rounds against BJ Penn (Fitch brutalised Penn in the third to earn a draw) and following that up with KO loss to Johny Hendricks, Fitch appeared to have embraced the desire to finish fights, or at least try to and thus make them fun to watch in his tussle with Silva. Maia spent a long time as the designated jiujitsu guy at Middleweight, subbing most guys but occasionally getting knocked the hell out or decisioned by quality wrestlers or strikers he couldn’t get close enough to. Since dropping to welterweight, where he adds a strength advantage to his jiujitsu acumen, he’s looked a bit scary and in his last match became the first competitor to finish noted grinder Rick Story with a nasty looking neck crank submission. Now, does Fitch try and take Maia down, knowing what he’s capable of off his back? Does Maia try and pull guard in Fitch, knowing what he’s capable of on top? 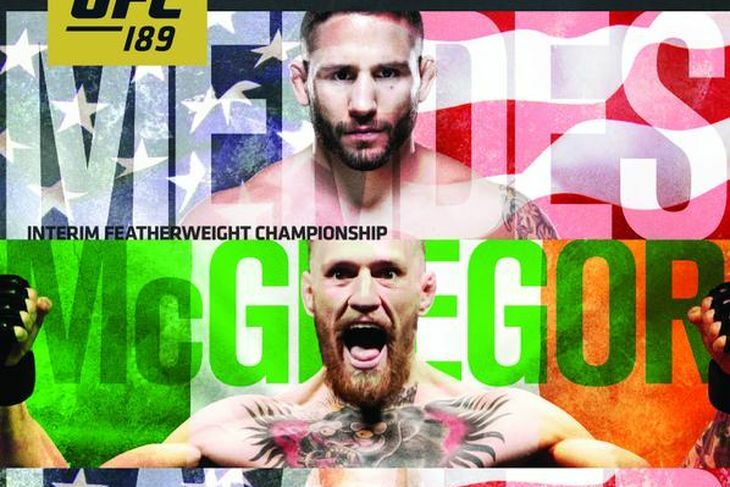 Does both or either fighter decide to see how it plays out striking before going to their usual gameplan? If you’re the kind of MMA ‘fan’ who chants ‘stand them up’ after ten seconds on the ground or boos a fight where guys aren’t throwing haymakers or flying knees, this one might not be for you. However to me, it’s as interesting a styles clash as anything on the card and I’m very interested to see how it plays out. Rounding off the main card is a bout that could so easily have been for the inaugural Flyweight title if only Ian McCall (11-3-1) had been a bit more focused and put Demtrious Johnson away last March. Instead, the bout was ruled a draw and Johnson went on to win the belt against Joseph Benavidez (16-3) after defeating McCall in the rematch. McCall is still seeking his first win in the UFC, while Benavidez has still never been stopped and has only lost to guys who ended up going on to win title belts. Admittedly, two of McCall’s losses are to the same champions (Dominick Cruz and Demetrious Johnson) and he comes into this match as very much the man with more to lose. Like a job. 0-2-1 is not an Octagon record that does much for your hopes of future employment with the UFC. The pick of the preliminary card is easily the FX main event between Evan Dunham (13-3) and Gleison Tibau (26-8), two guys who’ve pretty much spent the last few years just outside the top ten of the Lightweight division, reliably putting on fun fights and generally losing to guys on their way towards title contention.